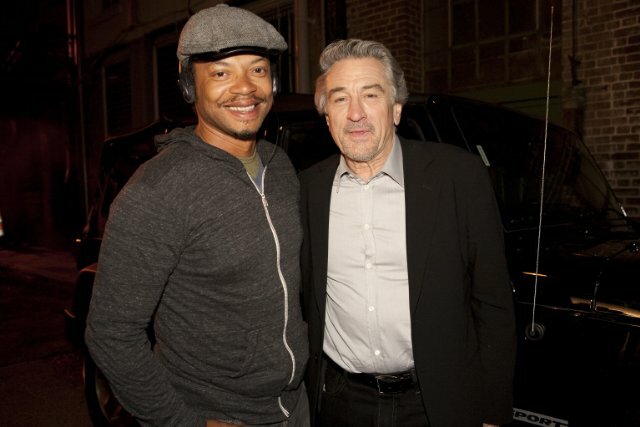 L. Philippe Casseus and Robert De Niro on the set of “Freelancers”. See trailer for Freelancers here. Writer/Director L. Philippe Casseus is from Queens, New York. After a career in set lighting department on music videos for legendary directors and artists (Fincher, Grey, Romanack, Lee, Ratner — Jay-Z, Mariah, Aguilara, Prince, Kravitz). Directing videos soon led to writing/directing, sometimes shooting short films. At Floored and Lifted (webisode) Casseus directed shorts staring Maurissa Tancheroen (writer producer: Dollhouse, Spartacus, the S.H.I.E.L.D.) and Malcolm Barrett (American Violet, Better Of Ted, Hurt Locker, Larry Crowne, Peoples). The work continues for Casseus, writing/directing screenplays both feature and short length.